When you’re launching an agricultural research project, identifying the questions you want answered is only half the battle. The other (and arguably more difficult) half is finding the right respondents to interview. This requires a lot of cold outreach and schedule coordination, as well as a fundamental understanding and consideration of the circumstances under which your respondent audience operates. The agricultural space has numerous subcategories, each with its own nuances and subtleties that researchers must be aware of. Bazis has been operating in the agriculture research sector for years, and during that time we’ve gained in-depth knowledge of the crop science, animal health, agricultural machinery and agrochemicals markets. Based on our experience working across Russia, Ukraine and Kazakhstan, here are a few key things any agro researcher needs to know about their respondent audience. Unlike many other industries, agriculture is extremely seasonal. Interviewees in this space are not available during seeding time (April and May) and harvesting time (September and October for most, but some start as early as August). As you prepare your project, be sure to consider this seasonal timeline in your overall research plan. You will not be conducting interviews during seeding and harvesting season. You may be interviewing representatives from a wide range of farm sizes — from 500 acres to over 25,000 acres — and it’s important to understand that the responses – and level of insights – will vary based on the resources each farm has. Bigger agriculture holdings like Prodimex and Miratorg often have access to state-of-the-art, modern technologies, whereas smaller and mid-sized farms may not yet have the funds to update their operations. Take these factors into account when you’re analyzing response data and drawing conclusions about the current state of the industry. Agricultural research respondents are typically agronomists and mechanics, if there are questions about machinery. Large farms may have dedicated staff members to fill these roles, but a small farmer often must take on multiple duties to keep their business afloat. The agronomist at a small farm may also be the director. The more jobs a single person is responsible for, the less time they’ll have to dedicate to a research interview, so be respectful and flexible when coordinating your interview schedule. Our research has been based primarily in Russian and Eastern Europe, and if your research project focuses on this part of the world, you’ll need to consider some technological limitations. 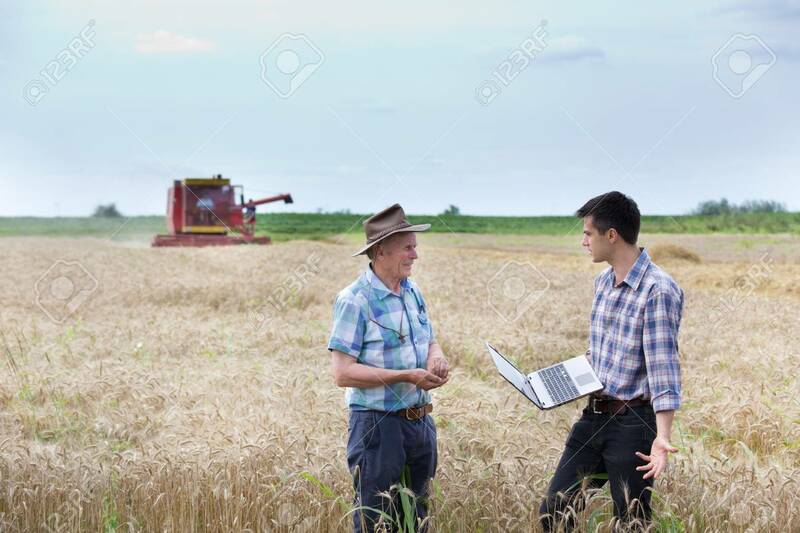 Internet access is difficult to obtain for many Russian farmers, so your best bet is scheduling a phone or in-person interview. You also may not be able to experiment with newer interviewing techniques like mobile apps, as you might in other regions. It is also worthwhile taking into account the age of the people you are interviewing. In our experience, many agronomists are nearing retirement years and may not be willing to embrace new technologies. You should consider this when planning your interview and choosing a research methodology. It’s more difficult to reach large companies when seeking interviews because of all requests they process. In many cases, respondents need to receive permission from their director, and it may take quite a long time. And in some cases, you may spend a lot of time waiting…only to hear a “no” from them. This especially applies to farms working in poultry and livestock production as they are frequently checked by supervising authorities and may be reluctant to give interviews to third parties. You need to have a special approach to get in front of these respondents to persuade them to take part in an interview. An official letter from the end client can help in this situation. When it comes to in-person interviews, the farms you are traveling to will likely be located a great distance from each other. Plan accordingly. For example, let’s say you arrive to Krasnodar, a city in southern Russia. To reach Pushkinskoye village or Korzhi khutor, where the farms are located, you will have to travel more than 3 hours if you travel by bus, at best 2 hours by car. In that case, you will likely only get to 1 to 2 interviews per day and will be traveling a lot. That all needs to be part of your timeline and preparation for gathering your research. No two agricultural professionals will have the exact same preferences and experiences. When planning your research interviews, be sure to understand the space your respondent occupies so you can personalize the interview topic and questions. Be mindful of your interviewees’ seasonal availability and technological capabilities – you’ll need to plan your timeline accordingly. Finally, as with any research interview, be gracious and thank the respondent for their time. Remind them that their interview responses will be used to produce valuable insights that could ultimately improve their overall industry. We have the resources to provide thorough agriculture market research. To understand the kind of information we can provide, download a sample of our Agro Tracker today.